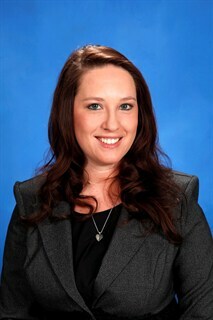 Saint Francis Medical Center is pleased to welcome Danielle Liley to the staff of the Saint Francis Foundation. Liley has joined Saint Francis as a development officer. In this role, she will report to Linda Decker, executive director of the Foundation, and support Saint Francis’ mission by securing financial support for Medical Center programs and initiatives, including Dig for Life, Parents with Hope, Team One and The Friends of Saint Francis. Liley is a graduate of Southeast Missouri State with a bachelor’s degree in organizational administration/business administration. She most recently worked as director of Marketing and Administrative Support for Doctors Express in Cape Girardeau. Prior to that, she was community manager of development for the local American Cancer Society division, and has remained instrumental in coordinating the annual A Cure for Cape Cancer Gala and Pink Ribbon Breast Cancer Luncheon events as a volunteer.